Kosi Bay is a system of lakes, channels and an estuary, ranging from fresh to saline water and joining the ocean at the mouth. It is one of the most fascinating and beautiful pristine lake systems on the African coast, attracting a remarkable variety of brightly coloured marine life. Kosi Bay is the gem of the iSimangaliso Wetland Park World Heritage Site. The Mozambique border forms the northern boundary of the protected area and the Indian Ocean the eastern boundary. 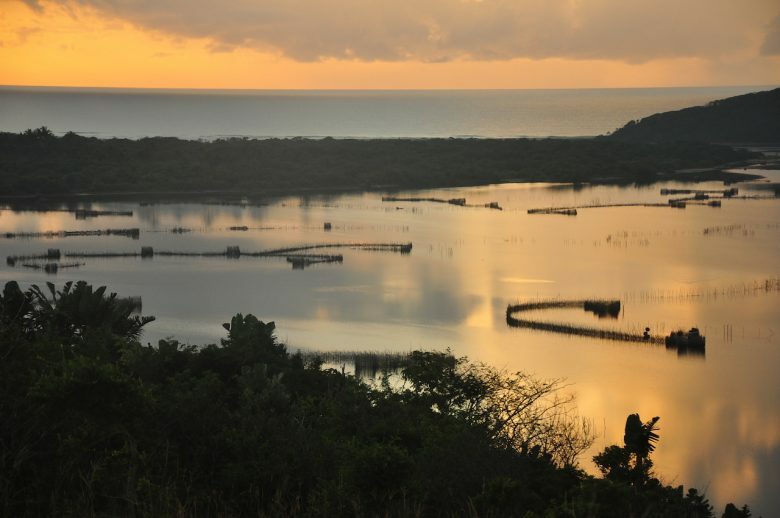 The Kosi system, where wild date palms, mangrove swamps, sycamore fig forests and the endemic raffia palm border the four lakes – Amanzimnyama, Nhlange, Mpungwini and Makhawulani – is home to hundreds of bird and animal species, including the rare palm-nut vulture, pels fishing owl, hippo and crocodile. Humpback whales are seasonal offshore visitors, while leatherback and loggerhead sea turtles come ashore to nest in the beaches from October to February.